aww i think it would be an awesome post to see your before and after DIY projects! if you think of it, definitely put up some pics! I wish I had the skills to alter things, i'm lucky my grandmother was a seamstress and fixes all my need-fixing items, but i'm afraid it's made me terribly lazy in the learning how to do it myself department! I just love floral prints - especially cute small ones like this. Huge obnoxious peony print I just cannot do. 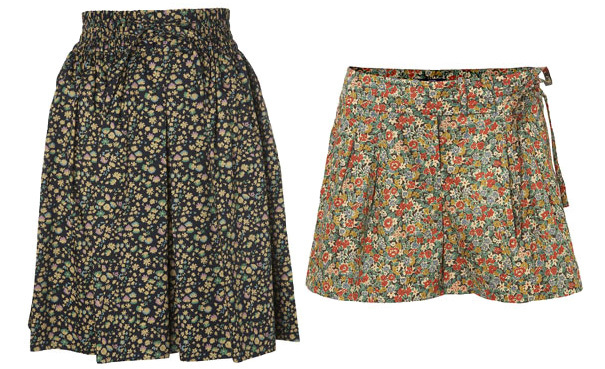 In fashion or not, I've loved liberty prints since I was a twig of a girl with big teeth. These are beautiful selections. I'm loving the middle one of the first three shown - what better than a dress with pockets, and the black top at the bottom is fantastic! Sandals, braids and you in a dress like that: unbeatable. oh! I live exactly at the corner of this shop in Paris! This shop generally sells only mens clothing by cacharel, and for this season it changed in a special Liberty shop! how inspiring! i have to say i think i share in this current obsession :D great choices, i love everything you posted! Those pieces are awesome!im totally speechless!!! !so gorgeous! Hmmm... so pretty!! I love them all! i love that skirt with the little tie! too cute. oh my god, yes, so good. You should definitely hit up the thriftstore for some diy materials. It's great when you can find garments that give you large amounts of fabric. These are so cute. I adore Liberty prints and always pick them up when I find them at thrift stores. They make the most perfect little summer dresses- it's hard not to be happy when you're wearing them. Ooh, that's a brilliant idea. Hooray for thrifted re-made sundresses! Daniel from Liberty here! 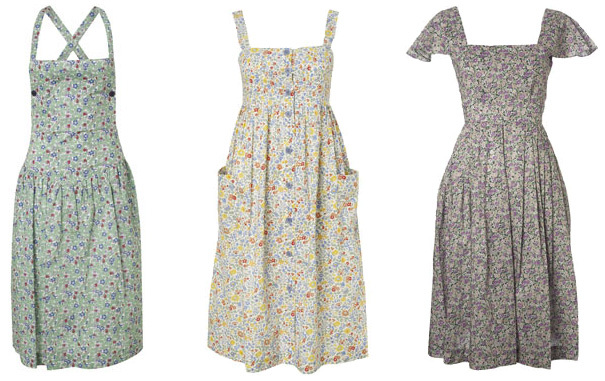 great blog, always great to see some love for Liberty Print! I love love love these dresses! Great picks! So incredible gorgeous, in the best sort of girl-next-door kind of timelessly sweet way. 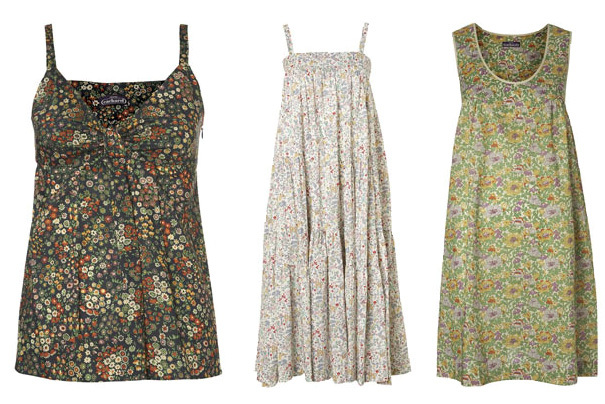 I love Liberty print to no end, thank you for highlighting these terrific pieces. I'm so crazy for anything Liberty printed. Great finds.